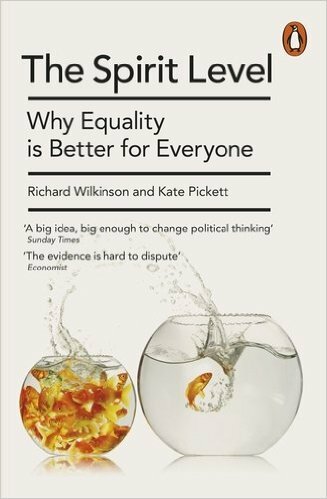 Anthropologists, lawyers and medically-minded readers among you will have probably already encountered the life-changing read that is ‘The Spirit Level: Why Equality is Better for Everyone‘. However, this is an essential everyman’s read with something of a following, if the number of comments I received while reading it at the pub, mid-way through the disappointment of England’s weekend rugby performance, are anything to go by. Co-authored by Kate Pickett and Richard Wilkinson, this work poses societal questions that are as relevant to a new global health Masters student, as they are readers who want to explore questions such as ‘why do Americans have higher rates of teenage pregnancy than the French?’ or ‘why were the England team so much worse at scrummage than Australia last weekend?’ (not verbatim). The book points to an overarching answer: inequality. Of course, inequality is not a new consideration on the political and health-related agenda, but ‘The Spirit Level’ pushes it beyond concepts, supporting every statement with accessible statistics, compelling visualised data and associated commentary or caveats to this evidence. Context is, of course, important. Published in 2009, the book’s relevance to a now Conservative government works differently, but to similarly pressing ends ,as it did in the Labour political arena into which it was launched. More so now, perhaps, as readers and government leaders manage an increasingly democratised society, aware that each policy formula equates to inequality, variance in public capability and party support. ‘The Spirit Level’ calls for a global attendance to the risk factors of inequality in a controversial move away from projects that prioritise acquisition of exponential national financial growth. Labelled a work that could challenge political thinking, surely it is deserving of its iconic status, and should continue to prompt and provoke an ever wider audience.